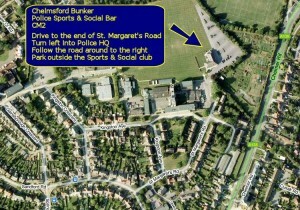 The Chelmsford Bunker is an active and wide-ranging wargaming and tabletop gaming club based in Chelmsford, Essex. Our members are active in the gaming community, attending Salute, gaming conventions, and multiple tournaments throughout the year. We have members who are Press Gangers for Privateer Press, Pundits for Guild Ball, and many long-standing NAF members. There’s plenty of tables of different sizes to game on, we have some Games Workshop battleboards, Guild Ball play mats, X-Wing play mats, and a large variety of terrain suitable for Wahmmer 40,000, Age of Sigmar, Warmachine, Marvel, and any number of other games. Our venue also provides an on-site bar for those club members of a suitable age. We meet every Wednesday, 6:30pm to 10:30pm at the Chelmsford Police Sports & Social Club, St. Margaret’s Road, Chelmsford, Essex, CM2 6DS. Important! The address above is purely the location of the club – please do not post anything to this address as we are using Police premises. If you wish to mail something to the club, please use the Contact Us link and we will reply with a suitable postal address. Don’t take our word that we are an active and wide-ranging club. Check out our Facebook Page or join our Facebook Group and see for yourself!